Council for Interethnic Relations meeting. 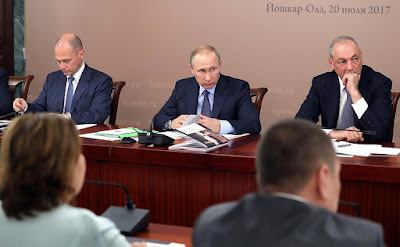 Putin.BLOG Interethnic Relations Regions Council for Interethnic Relations meeting. Implementation at regional and municipal level of the State Ethnic Policy Strategy until 2025 was the main item on the agenda. The Presidential Council for Interethnic Relations was established in 2012 to enhance state policy in this area. 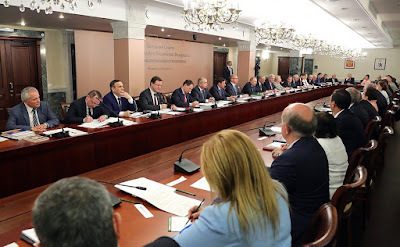 The Council is made up of the leaders of Russian ethnic and cultural associations, academics and experts, heads of federal executive and legislative bodies of power. Excerpts from transcript of the meeting of the Council for Interethnic Relations. It has become a fine tradition to hold Council for Interethnic Relations’ meetings in the different regions. This time, we are meeting in Yoshkar-Ola, the capital of Mari El. Let me begin by thanking the people of Mari El for the warmth and hospitality we have met with here. On our agenda today is an analysis of the implementation of the State Ethnic Policy Strategy at the regional and municipal levels. This Strategy is a document of exceptional importance for a multi-ethnic country such as ours. As you know, the draft document was broadly discussed. More than 3000 remarks and proposals were taken into account and we outlined the main priorities of preserving Russia’s ethno-cultural diversity, strengthening civic identity and bolstering our country’s spiritual unity. These are the main areas of work for the authorities at all levels, but these efforts should be even more focused and substantive at the regional and municipal levels. This is natural because the closer to the people you are, the more detailed things become. Each region has its own peculiarities with regard to interethnic relations, and of course, these peculiarities should be taken into account while at the same time following a common approach to resolving the overall, national ethnic policy tasks. Take teaching the Russian language and the languages of Russia’s peoples in schools, for example. I would like to remind you that Russian is the state language, the common language for us all, and as such, it is irreplaceable and is a natural spiritual foundation for our entire multi-ethnic country. Everyone has a duty to know Russian. The languages of Russia’s various peoples are also an integral part of their unique cultures. The right to study these languages is guaranteed by the Constitution. It is a voluntary right. Forcing someone to learn a language that is not their native language is just as inacceptable as reducing the level and time spent on teaching Russian. I particularly draw the regional heads’ attention to this issue. I have said before that matters concerning national identity and traditions are very sensitive, with many subtleties, and we must act with great wisdom and caution here. Overall, we have built up considerable and, most importantly, fruitful experience in this area over these past years. Suffice it to note the increase in the number of people in Russia who think that relations between people of different ethnic groups are friendly. This view is shared by close to 80 percent of the population now. You will remember that the situation was quite different 10–15 years ago. Our task is to preserve the harmony that we have achieved in society, above all by ensuring ongoing cooperation and constructive dialogue between the authorities and civil society institutions. At the same time, surveys show that one in five people in Russia think that the local authorities’ work in the area of interethnic relations is insufficiently effective. I would like to draw the municipal authorities’ attention to this. In most cases, conflicts escalate primarily because of failure at the local level to prevent and resolve them in time. It would be good to appoint someone responsible for overseeing interethnic relations at all local government bodies, as has already been done at the federal and regional levels, and in general to work more actively to spread best practices in the country, including with regard to implementing the State Ethnic Policy Strategy. This work must be monitored everywhere, and we need the closest possible cooperation between all agencies concerned, including the law enforcement agencies. It is essential to put in place a clear system for training and advanced training for regional and municipal officials in the area of interethnic relations. This task has long been before us but work is progressing slowly. This is also something we can discuss today. Furthermore, we need not only standard and educational programs but also a fully-fledged professional standard. I would like to ask the Government to finalize its development. It has been going on for a long time and should be completed. It is also necessary to provide decent methodological support for the activities of the regional and municipal authorities on implementing state ethnic policy. Correct managerial decisions also play a key role in this respect. We expect regional civic chambers, national-cultural associations and non-profit organizations to come up with initiatives to elaborate them. It is essential to create conditions for establishing relevant on-site consultative venues where Government and civil society representatives would be able to interact, work together, compare and coordinate their actions on a regular basis. Out of over 220,000 Russian non-profits some 6,000 have charter provisions on ethno cultural issues. We must continue steadily, regularly upgrading policies designed to support them. It is also important to support them with grants. For example, starting July 1, the range of public-spirited services of socially oriented non-profits was supplemented with the priorities of developing interethnic cooperation, protecting the languages and culture of Russian peoples and facilitating the sociocultural adaptation of guest workers. At the same time, in implementing state ethnic policy it is necessary to clearly determine the criteria for assessing the effectiveness of regional programs and other systemic measures and apply them in distributing relevant subsidies from the federal budget to the regions and their budgets. One such measure should be regions and municipalities developing and promoting their own ethno cultural brands. Our country is unique in terms of the diversity of its nature and folk traditions but opportunities to learn about them are often limited not only by inadequate infrastructure but also by mediocrity and lack of initiative at the local level. Meanwhile, the demand for ethnographic tourism, for instance, is growing all over the world, including this country. This is an obvious fact. In Russia, we have more things to showcase and take pride in than anywhere else. As you may know, this is not the first year that internal tourism has been growing, which has a lot to do with the topic we are going to discuss today. That concludes my opening remarks. I would like to give the floor to Deputy Prime Minister Alexander Khloponin. 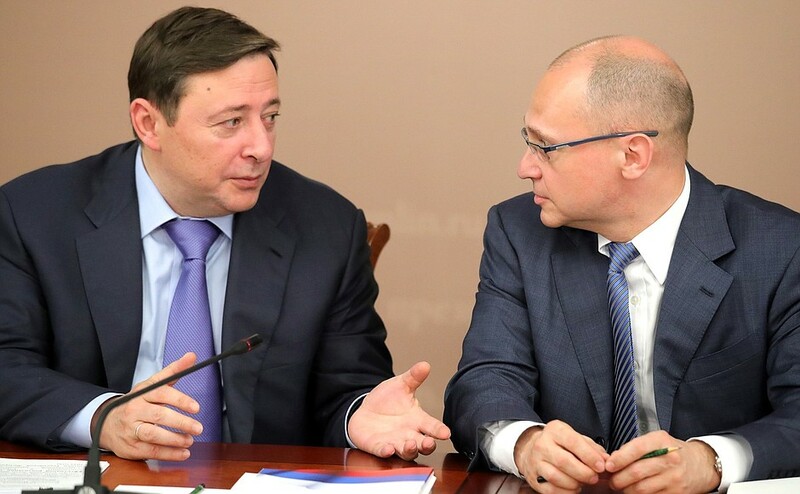 Deputy Prime Minister Alexander Khloponin and First Deputy Chief of Staff of the Presidential Executive Office Sergei Kiriyenko at a meeting of the Council for Interethnic Relations. Since the previous Council meeting in October 2016 in Astrakhan, we have focused on efficiently implementing the tasks mapped out in the Strategy for the State Ethnic Policy of the Russian Federation until 2025. Firstly, these are measures concerning the management and the funding of the program. The State Program of the Russian Federation on Implementing State Ethnic Policy was endorsed and came in effect this year. Its adoption made it possible for the first time to concentrate the powers of all the federal agencies related to the drafting of the ethnic policy. The funding of the program through 2025 is almost 26 billion rubles. 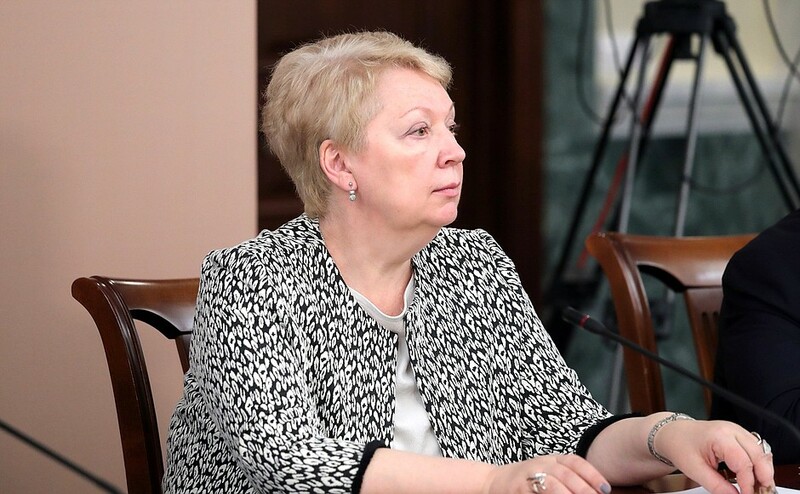 About 2.5 billion rubles have been earmarked for this year and a considerable part of these funds are subsidies to the regions on the basis of co-financing. In the first half of 2017, the Federal Agency for Ethnic Affairs signed agreements with 61 regions on subsidizing their measures to strengthen the unity of the Russian nation and promote the ethno cultural development of the peoples of Russia. There are agreements with 27 regions on subsidies to support indigenous minorities of the North, Siberia and the Far East. Secondly, something the President spoke about, there is work with socially oriented non-profit organizations. The required legal terms for their operation have been established. For instance, a tangible role in this respect was played by the adoption in July of this year of an executive order that affords them an opportunity to render socially useful services in the area of interethnic relations, as well as the adaptation and integration of guest workers. The third issue deals with human resources. For the first time experts elaborated a draft of the professional standard that sets requirements for credentials in interethnic relations. This document was submitted to the Ministry of Labor in June of this year and by this September, the Government plans to complete all the procedures required for its adoption, including public discussion, and interdepartmental approval of its final version. Labor migration is the fourth critically important area. According to the Interior Ministry, over 2 million foreign citizens work in Russia officially. Clearly, even a brief stay in an unfamiliar environment requires them to be integrated into society. They need extra attention and assistance in difficult situations, be it access to medical care, schools for their children, and much more. Previously, the adaptation of migrants was handled by a variety of departments ranging from social services to police. That is, each ministry did its narrow part of the job. A draft presidential executive order was put together to assign the Federal Agency the functions of developing and implementing state policy in the sphere of social and cultural adaptation and integration of foreign citizens. At the same time, a law has been drafted that defines the goals and ways of achieving sociocultural adaptation, which also determines the scope of authority of all levels of government. Vladimir Putin at a meeting of the Council for Interethnic Relations. With First Deputy Chief of Staff of the Presidential Executive Office Sergei Kiriyenko (left) and Deputy Chief of Staff of the Presidential Executive Office and Secretary of the Council for Interethnic Relations Magomedsalam Magomedov. I believe that the work we have done in the sphere of improving interethnic relations is a good starting point for further advances in this sphere. To improve efficiency, we need, first, to create a single transparent governance vertical. Now, in the Russian regions, the issues of state ethnic policy are handled by different structural subdivisions of executive bodies. Moreover, in some regions this policy is an optional activity. In 10 regions, these issues are handled by governors’ executive offices, in 15 regions there are dedicated ministries or departments, and in 52 regions this work falls within the competence of a directorate or a department of domestic policy. In the remaining regions, this work is being done by regional ministries of education, culture and relations with public organizations. I believe it is necessary that the executive authorities in each region have a structural subdivision with this unique focal authority. One option is to create an administrative unit supervised by a deputy governor. The same principles should be used to build interaction with the municipalities, whose experience shows that it is possible to organize sufficiently high-quality work not only in major urban areas, but in rural areas as well. I would like to give you a couple of examples. In the Republic of Udmurtia, for instance, 30 public coordination councils on interethnic relations have been set up, and in all municipalities of Nizhny Novgorod Region, these matters are the responsibility of deputy heads of the municipal administrations and competent specialists. But unfortunately, our regions are not all alike. There is a widespread belief in a number of regions that if a district, a city or a village is mono-ethnic, then there is no need to deal with interethnic relations. This is, no doubt, a wrong and shortsighted view. 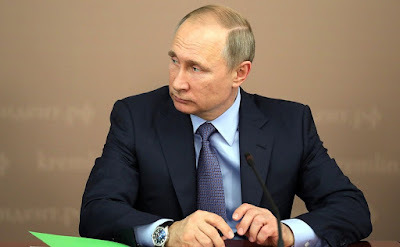 Today, especially in our age of global processes, information technology and population mobility, interethnic relations concern every citizen of the Russian Federation one way or another. And often trouble-makers appear where they are least expected. I believe that the Federal Agency must actively encourage the positive experience of the Russian regions that use precisely this vertical. The consolidation of power along the vertical axis – the Federal Agency for Ethnic Affairs, regional authorities, municipalities – firstly, gives us a clear understanding of who is responsible for what; secondly, it helps us to overcome a lack of coordination between departments, which results in efforts and funds being scattered away; and, thirdly, it gives us faster and more effective feedback. Today, a state information system to monitor the state of interethnic and interreligious relations and prevent conflict situations at an early stage, which was developed by the federal agency, is being introduced in the regions. Feedback with municipalities, prompt information from the scene about sensitive points, will help avert conflicts and will also help us to adopt decisions on the construction (where necessary) of social facilities and housing, the creation of jobs, transport and utilities infrastructure. At present, 37 regions are fully integrated into the monitoring system. In the near future, this practice should be spread to all regions of the Russian Federation. Now a few words about personnel policy. As I have already said, we have determined the professional standard and must form a system of training specialists and upgrading their skills. Federal and basic regional universities could become a key link in this system. They have the necessary foundation and are the closest to the requirements of the regions of the Russian Federation and know their specific features. In addition, federal and other major universities have amassed vast experience of working with young people of different ethnic origins. At present, a number of federal universities, including the North Caucasus, Southern, Crimean, and North-Eastern universities have a program of advanced training that includes an ethnic component. As a rule, this training concerns issues of anti-terrorist security and prevention of political extremism among the younger generation. I consider it expedient to instruct the Ministry of Education and the Federal Agency, with the participation of the regions, to submit proposals on the establishment in federal and basic universities of centers for regular and advanced training of personnel in the area of interethnic relations. It is necessary to determine the personnel requirements of the regions and municipalities and elaborate an organizational and financial mechanism for their training, retraining and advanced training. Targeted admission at the request of the regions could be one of the options. According to the Ministry of Education and Science, the greatest interest in specialists in interethnic relations is seen in such regions of the Russian Federation as Stavropol Territory, the Republic of Ingushetia, the Chechen Republic and the Republic of Tatarstan. Specialists are now trained in various areas: study of Russia’s regions, political science, religious studies, theology, cultural history, anthropology and ethnology. In this academic year, the targeted admission quota for these specialist fields amounted to 183 places, seven more than last year. On the whole the demand is growing but there is still an enormous deficit in the training of personnel in these fields in the Russian Federation. That said, we are witnessing a certain overabundance of some specialists, such as economists and managers who later on experience difficulties with finding a job and have to undergo retraining or get jobs in other areas. I think the regions could redistribute these quotas in favor of specialists in ethnic relations with guaranteed employment. 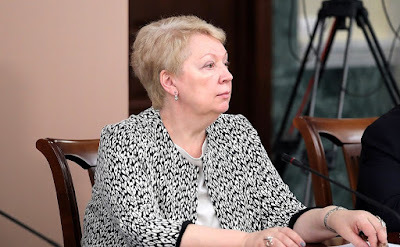 Education and Science Minister Olga Vasilyeva at a meeting of the Council for Interethnic Relations. Colleagues, the peoples of our country are historically united by a common territory, culture and the state language. These are integral parts of developing and strengthening interethnic unity. That is why it is vitally important to support the projects that aim to develop Russian civil identity and civil consolidation, primarily, the so-called internet projects. Today, internet users include not only young people but actually people from all social and age groups. We have quality examples of projects, for instance, the Культура.рф website dedicated to Russia’s cultural heritage. However, so far there are very few such resources, especially at the regional level in the Russian Federation. I think that regional grant contests should priorities internet projects in the sphere of interethnic relations and strengthening the unity of the Russian nation. The same applies to cinema and media. Products of a patriotic nature have indeed started to appear in our country, such as stories of legendary figures and events that brought glory to Russia. However, sadly, these products are not hugely popular with film providers. I have to mention the media, who seek scoops and avoid taking any responsibility for the possible negative consequences of the ways they present ethnic themes. To implement projects, we have to take active efforts and use existing mechanism for providing subsidies and grants and awarding prizes to authors. In conclusion, I will touch upon, probably, the main thing – school. It is school that creates the foundation for civic education, knowledge of Russian as the state language and the language of interethnic communication, respect for the history and culture of a particular people and all peoples of our great country. It is obvious that it is necessary to make adjustments to the Federal State Educational Standards and pay greater attention to issues of interethnic relations, their proper representation, and teaching methods. At the same time, work should be done to develop corresponding textbooks and study guides. Shortly, changes will be introduced to the Social Studies standards. 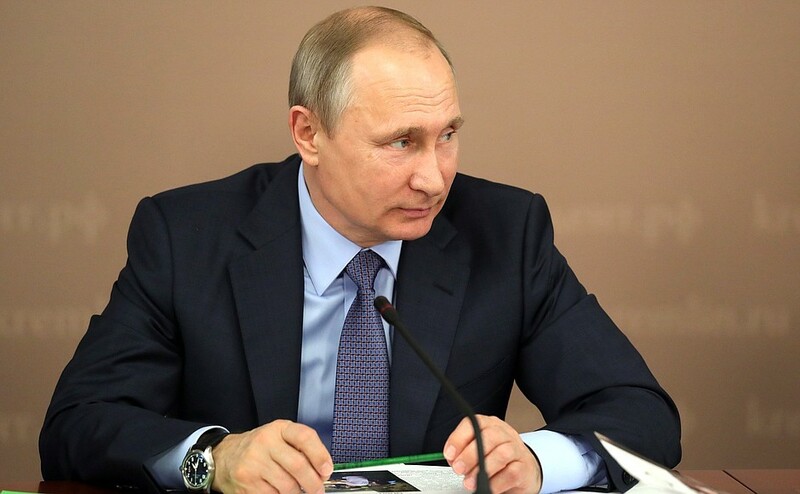 The work has already begun, and the regions of the Russian Federation should be more involved in it. The new school year will soon begin. I propose recommending that schools dedicate Knowledge Day to the interethnic unity and ethno cultural diversity of the Russian Federation's peoples. I am absolutely convinced that members of our Council can take an active part in organizing and holding such classes. I understand that we could carry on talking for a long time because we are all passionate about what we are doing, and this is undoubtedly an important matter. I hope that our work, as I have already said at the previous meetings, will not be reduced to such discussions alone, but will continue. Mr. Magomedov, I hope, is doing his job well – collecting materials, participating in your work in the different sections. This work is very important, and I would like to thank you for it and for the specific proposals that you have made during our meeting today. We will try to respond to all that. I do not know what we will be able to do. I would like to put into practice most of your ideas, because I did not hear a single empty word today. It was all important, all interesting. We will not be able to implement everything in one go, but we will work hard. Thank you very much for the invitation and the souvenirs. Mr. Magomedov will pass all of them along to me later. 0 Comment to "Council for Interethnic Relations meeting."